The truth about the impact of "new" people on a mountain resort. In this collection of fictional short stories, the reader will find insights and truths engendered by the modern invasion of "new folks" to glorious mountain enclaves now dubbed "resorts." These acclaimed stories capture the truth, warts and all, of how modern life can both corrupt and enhance a traditional environment. 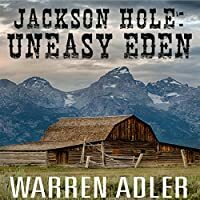 Based on the author's experience as a long-time resident of this pristine valley in Wyoming nestled in the heart of the Grand Tetons, America's most beautiful mountain range. Warren Adler is the Founder of the Jackson Hole Writer's Conference and the former Chairman of the Board of Trustees of the Jackson Public Library.